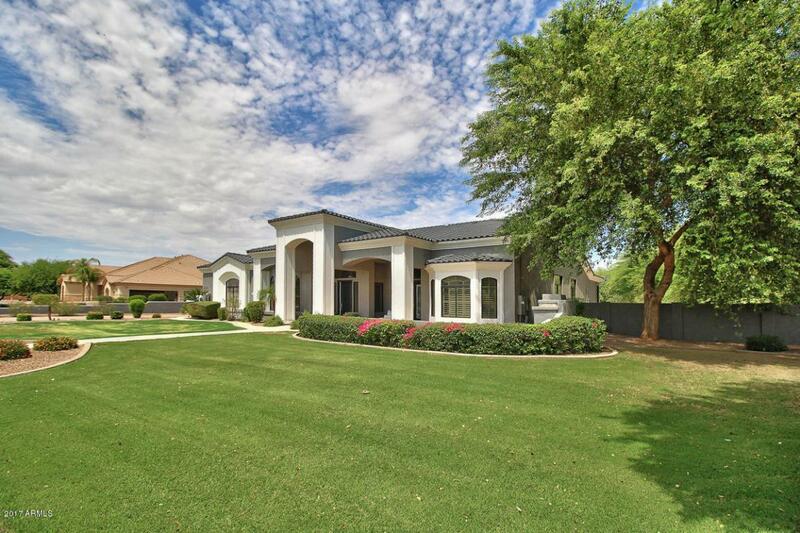 Beautiful remodeled custom home located in the highly sought after Estados Circle G in Seville, this 3848 sqft 5 bedroom 3.5 bath 3 car garage custom home also has a 1276 sq ft 2 bedroom 1 car garage Casita pool house, bringing the square footage to 5124 total square feet. The Entire home has been updated to the most current decor style with hardwood flooring, expansive wood trim, paint and custom cabinetry colors topped with a satin honed granite countertop in the kitchen. step outside to an entertainers dream with the built in bbq and fireplace located near the Huge 20' x 60' elegant formal styled pool with separate built in spa for relaxing at the end of each day. The casita has a large kitchen and family room with 2 bedrooms 1 Ba and lots of storage, plenty of room for your toys..morewith a separate garage on the casita and 3 oversized parking in the main home garage with storage cabinets. This transitional styled home has been updated both on the inside and the exterior making it an entertainers dream. Located in the sought after Chandler Unified School district the HS is the new Casteel HS which will have its first graduating seniors in 2019. 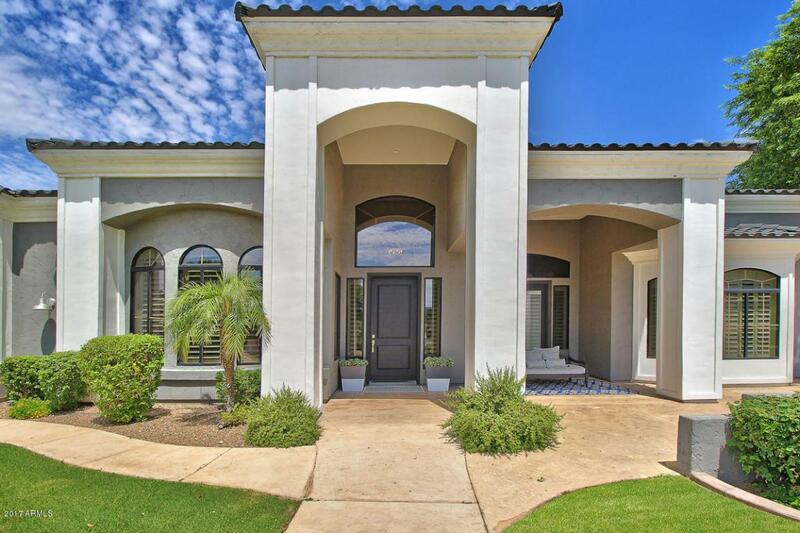 Seville is built within a citrus orchard, pick fresh oranges during the season and smell the orange blossoms in the spring, Seville boast's Gilbert's only private country club, complete with water slides, pools, golf, and clubhouse with state of the art fitness equipment. For relaxing, there is a theater and restaurant in the clubhouse with amazing food just a golf cart ride away. Come see this interior designer inspired home today. Listing courtesy of Starwood Realty.